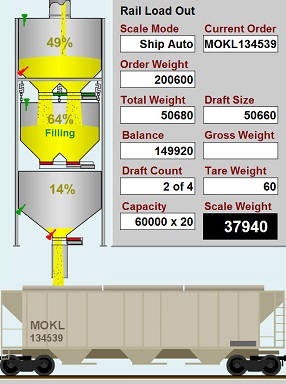 CompuWeigh Corporation has upgraded its Enterprise Logistics System (ELS) web-based inventory system with a new module that allows grain shippers, consignees, and owners to follow the movement of their railcars across North America. “Unlike other systems, we use ‘push’ technology, so that the location of all cars is updated automatically, without the need to call each railroad to request each car’s location,” says CEO Robin Sax. 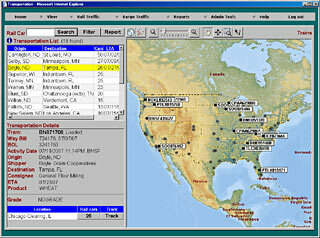 Web page of CompuWeigh’s Enterprise Logistics System railcar tracking system. • When railcars have been loaded, the ELS system automatically sends the information to the appropriate railroad that the cars are ready for shipping via EDI (Electronic Data Interchange). 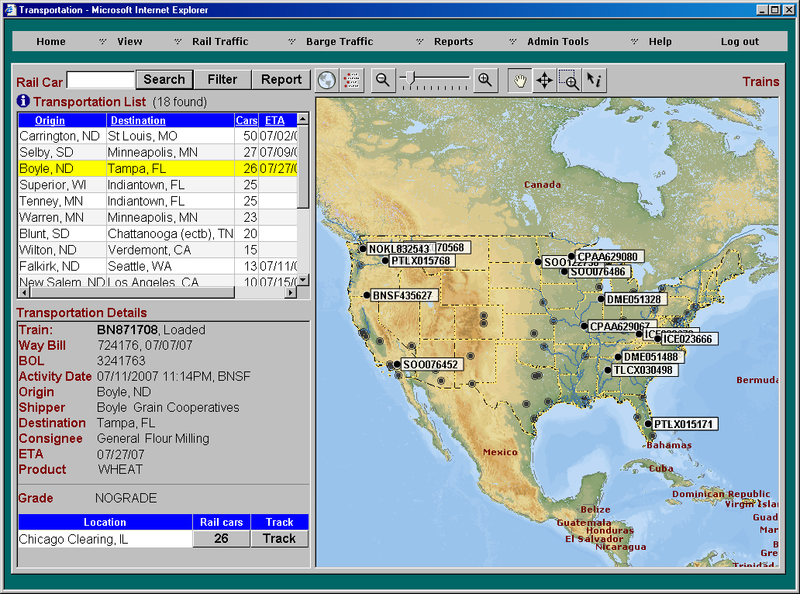 • The railroad picks up the cars, and ELS then tracks the railcars on its maps from hourly messages it receives from all railroads. • Any authorized persons then can see the exact location of the cars on their web browser and, by clicking on the cars, can see their commodity, weight, and grade factors. • The system is designed to notify the receiving facility automatically via phone or e-mail, when cars reach a certain location, to ensure that staff is on hand to unload the cars. • The system has been expanded to track ethanol tank cars and soon will be able to track barges.